The Iowa music scene was pretty diverse in 1995. Sadly, the band a majority of the world most commonly associates with the music scene there is Slipknot, the ridiculous costumed metal kids whose shtick is only rivaled in goofiness by the Insane Clown Posse. It’s strange to imagine then that a gimmick-free band, with actual musical talent like The Nadas, was formed in the same year just 30 miles apart. Eight albums, a slew of lineup changes and 18 years later, The Nadas are still at it, sounding like your favorite bar band. Their latest album, Lovejoy Revival, is among one of their strongest with songs like the Blues-infused “New Place to Hide” and the rollicking “Honor”. 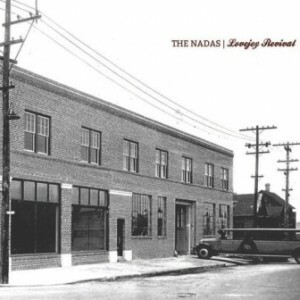 On other spots throughout the record, though, The Nadas sounds a bit dated, like they are still stuck in the mid-90’s trying to keep up with groups like The BoDeans and Dillon Fence. Those rough spots, thankfully, are few and far between and the net result is a strong album that will likely still appeal to longtime fans while bringing in new ones along for the ride.